Stuart has left our shores. Stuart has left our shores and headed over to the Republic of Ireland. Yesterday he was hanging about the mouth of the River Nith at the coast in Dumfries and Galloway near Caerlaverock. 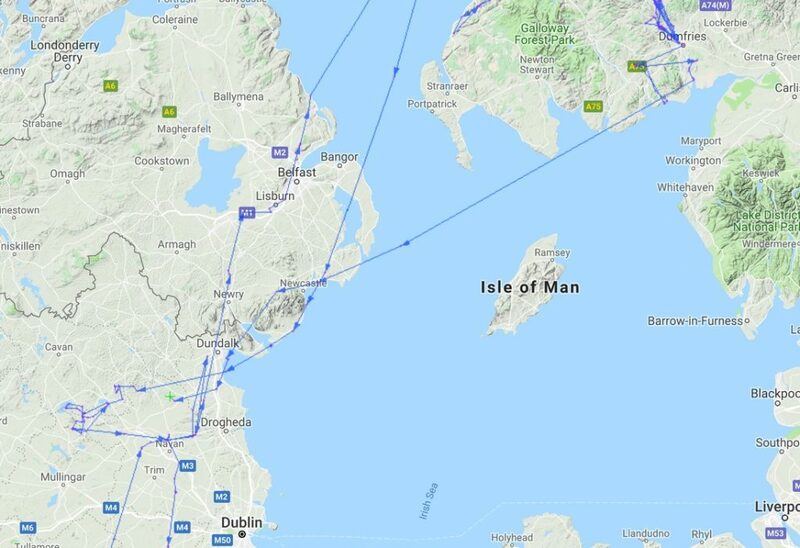 He left at 1525 and 3 hours later he was just off the coast of Northern Ireland. He continued flying all the way to Blackrock Cove in the Republic of Ireland at 2030. He had a wee rest there before heading off in the early hours of today and he was last picked up at Ardee at 0738. Will he hang about in the same places he did last year? Lets wait and see.